Put the bourbon, lemon juice and sugar syrup in a shaker with ice and shake well. 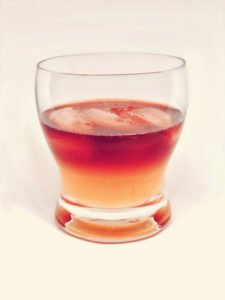 Fill everything in a cocktail glass, pour the red wine carefully, so that the drink 2 remains colored. was an influential Cherokee leader (c. 1708–1777) and the tribe’s First Beloved Man. He was serving as chief from 1761 to around 1775. His son was Dragging Canoe, a leader of the Chickamauga Cherokee.